estimate projected GHG emissions reduced or avoided to 2030. CLEER uses up-to-date methodologies and emissions factors from the IPCC, the GHG protocol, and other internationally-accepted guidance for estimating GHG emissions and reductions. 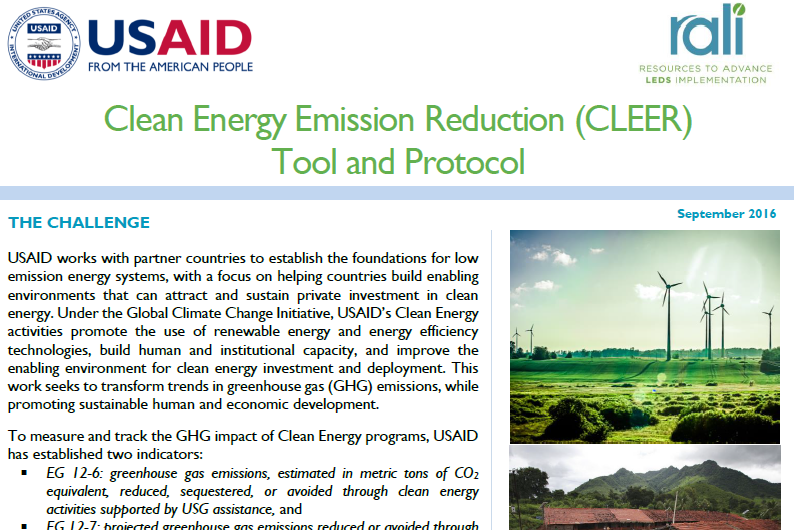 The CLEER tool was developed by the USAID Resources to Advance LEDS Implementation (RALI) Project, in cooperation with the USAID Global Climate Change Office (GCC). USAID works with partner countries to establish the foundations for low emission energy systems, with a focus on helping countries build enabling environments that can attract and sustain private investment in clean energy. 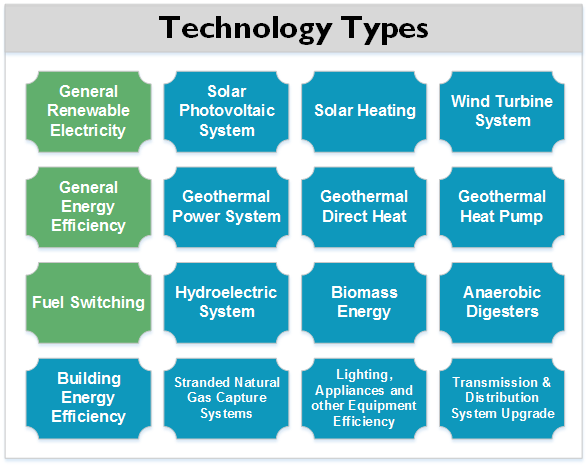 Clean energy activities promote the use of renewable energy and energy efficiency technologies, build human and institutional capacity, and improve the enabling environment for clean energy investment and deployment. This work seeks to reduce or avoid GHG emissions, while promoting sustainable human and economic development. Do you need assistance with using the CLEER Tool? Do you have a suggestion of additional technology types to include in the CLEER Tool?